Much like the latter part of its name suggests, the new RS6 is basically what it says. PERFORMANCE!! 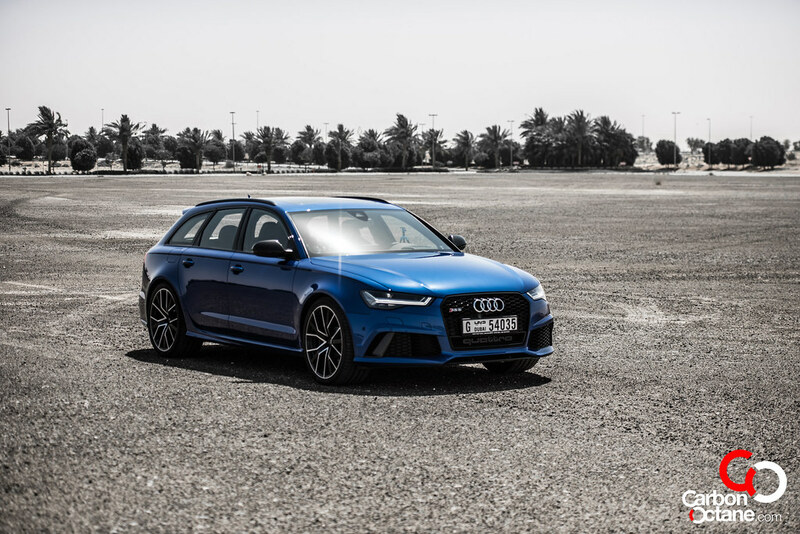 Would it have been possible to better the 2014 Audi RS6 which we had tested? 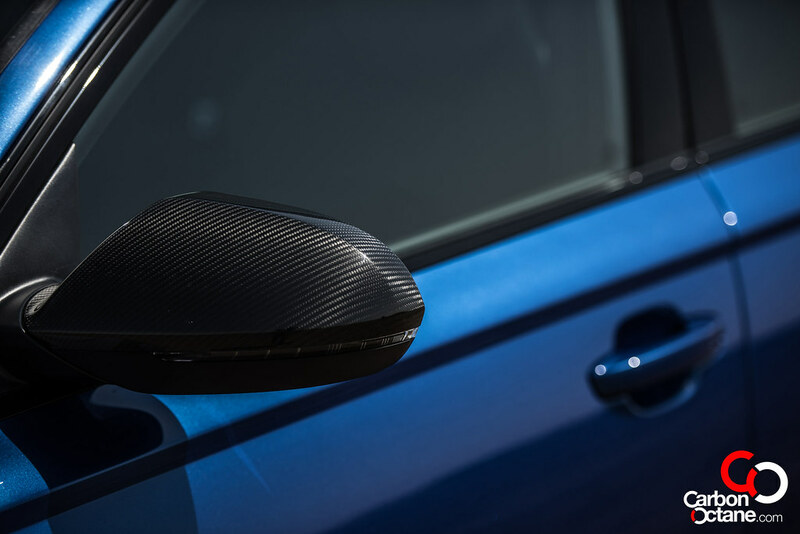 It seems that the braniacs at Ingolstadt have proven that they have no limitations when it comes down to expanding the characteristics of the car no matter how special it is. 605 horses and 750 Nm of twist that would give tire manufacturers sleepless nights is what you get just because of that 11 character word starting with “P”. That’s 45 more horses and even more impressive is its gain of 50 extra Nm of godliness twisting force. 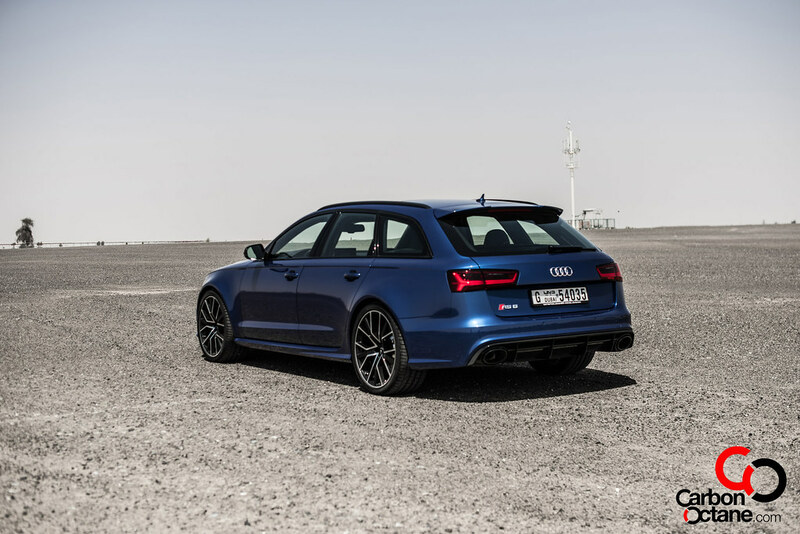 This shaves off the RS6’s 0 to 100kmph mad dash by 0.2 seconds from previous to 3.7 seconds and into super car territory. And you can do that day in and day out, like before and without the need for fancy launch control, from what is basically a family estate vehicle. 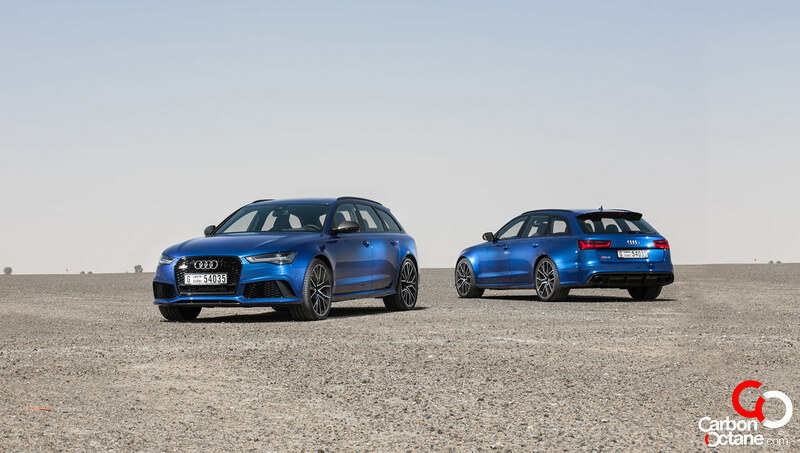 The RS6 has been the ultimate rival for BMW’s enigmatic and certainly once charismatic M5. Occasionally Mercedes-Benz’s E55/63’s would join in on the fun but it was dismissed as much of a dragster. Now, times are changing and Mercedes-Benz has gone AWD with its new E63 AMG, a move from rear wheel drive format which BMW would be bringing to their all new M5. So in that regard they would be following the route of Audi, which has dominated the AWD segment for decades. Putting down 600 odd horses onto just the rear wheel is a lot of work, if not impossible. But the smoke and fishtail once gets out of it bring from great photography and excitement, sometimes leading onto unwanted barriers. The RS6’s have always been the cleanest getaway car in this regard. 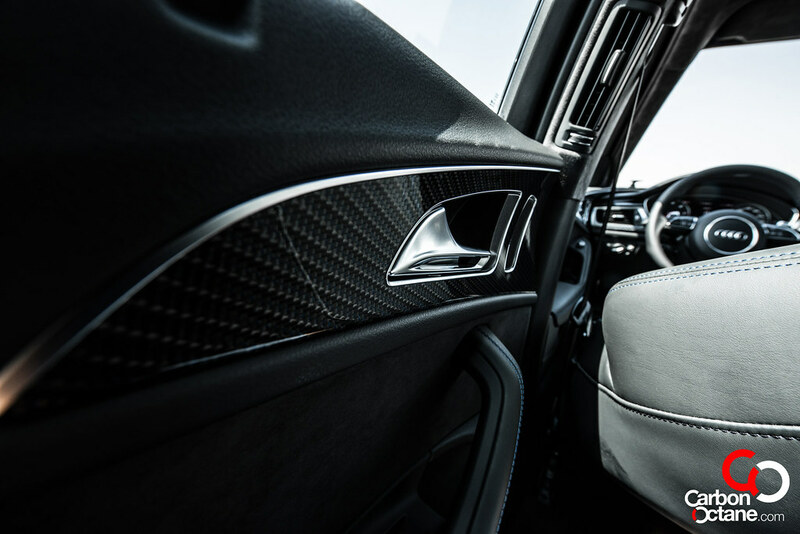 It makes you feel like a driving legend behind its capable hands. 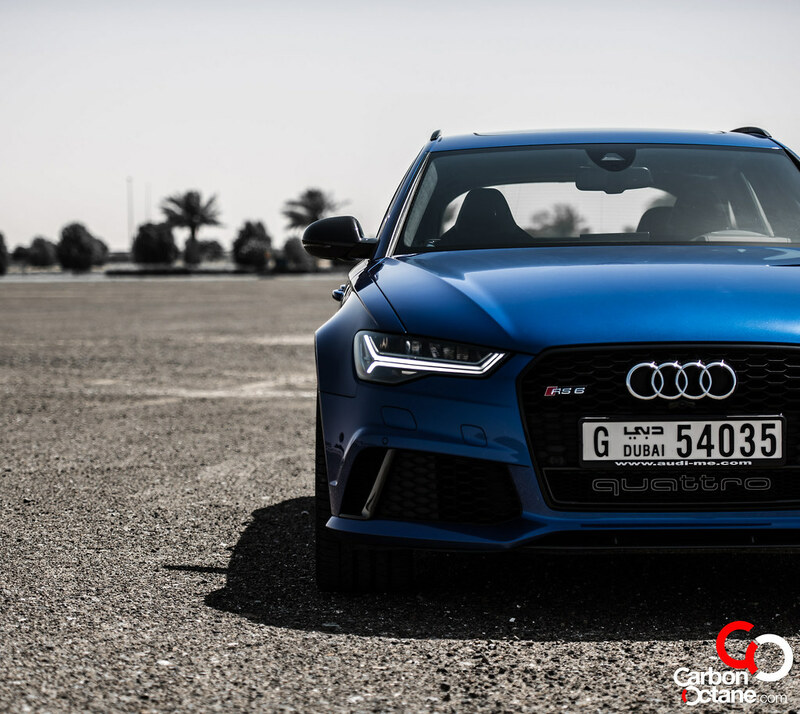 Being amongst peers such as the M5 and the E63 AMG, you can imagine the potential of Audi’s RS6. Our all-time favorite, because of many individual aspects that combines to make every drive a truly memorable experience. How many cars are there, can you think of, that can seat 5 adults and hit the track, or tear down the mountain roads, or be able to cruise on Beach Road? Not many, but the RS6 does that in a subtlety that defies logic and mechanical belief. 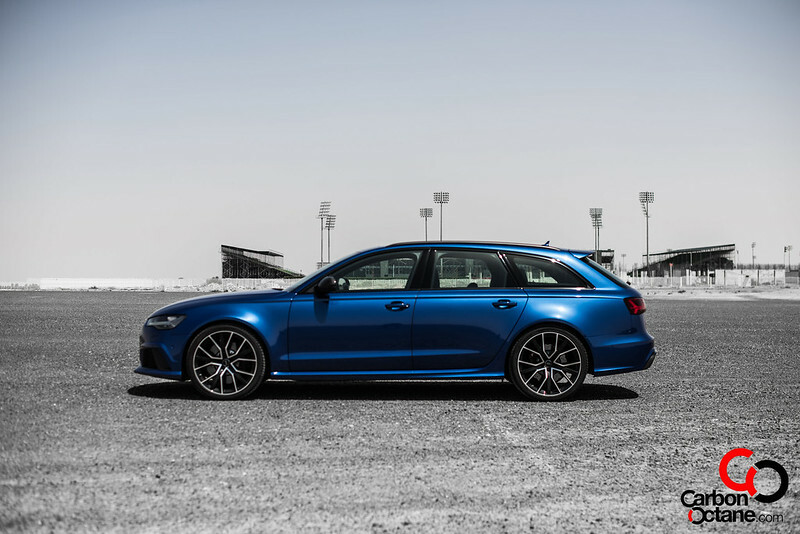 With sports coupes such as the Ferrari’s and Lambo’s, one needs to master the art of launch, in the case of the RS6 all you need to do is just press the accelerator hard!! That’s about it. 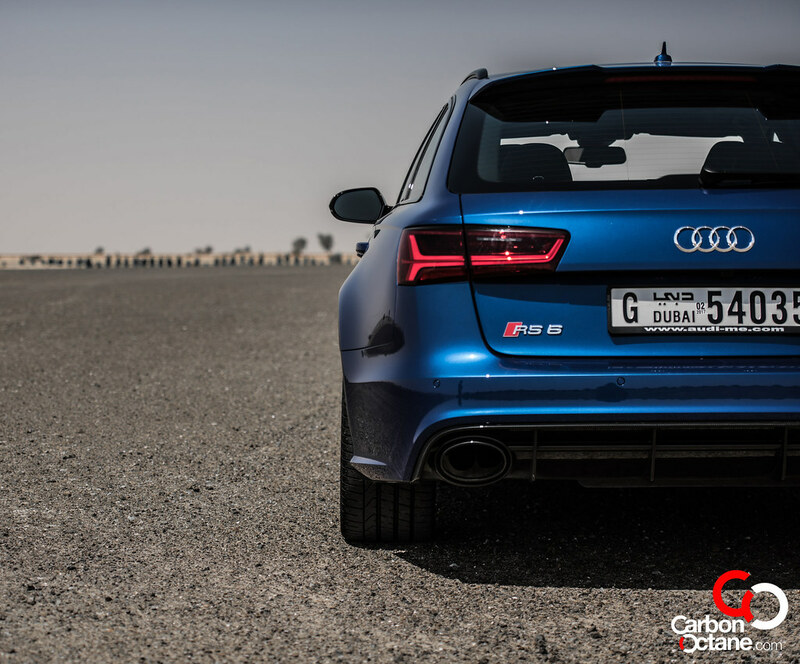 The rest is done by its engine, gearbox and its legendary Quattro system that just knows how to lay down the power. 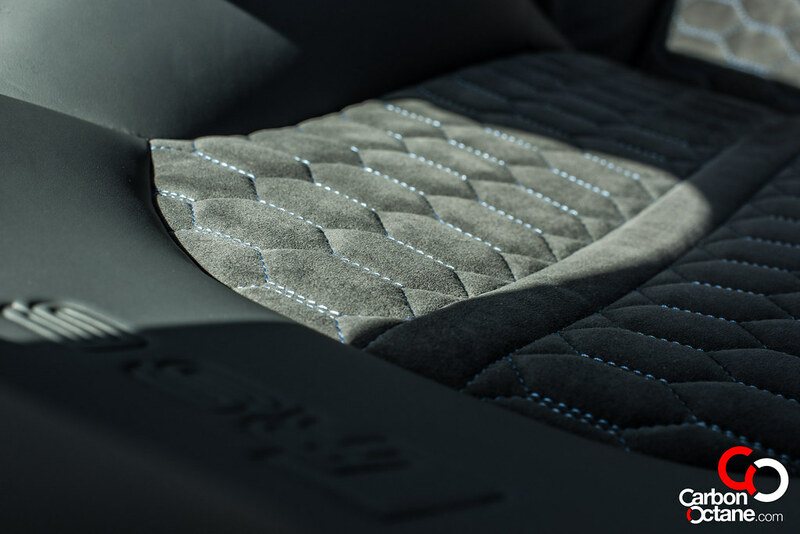 The interior is the same as the one we tested back in 2014, but trimmed up with alcantara inserts on the seats. 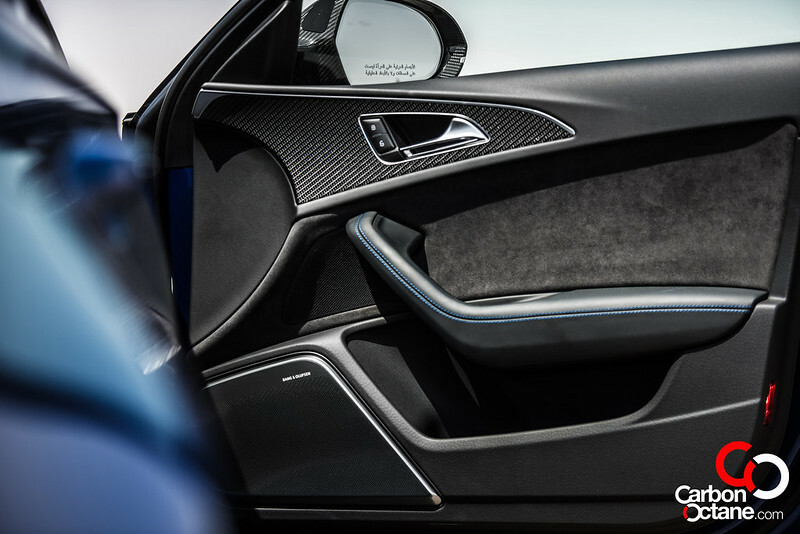 The black carbon fiber has neat blue stitches which was a nice touch. But it’s like re-visiting an old flame. 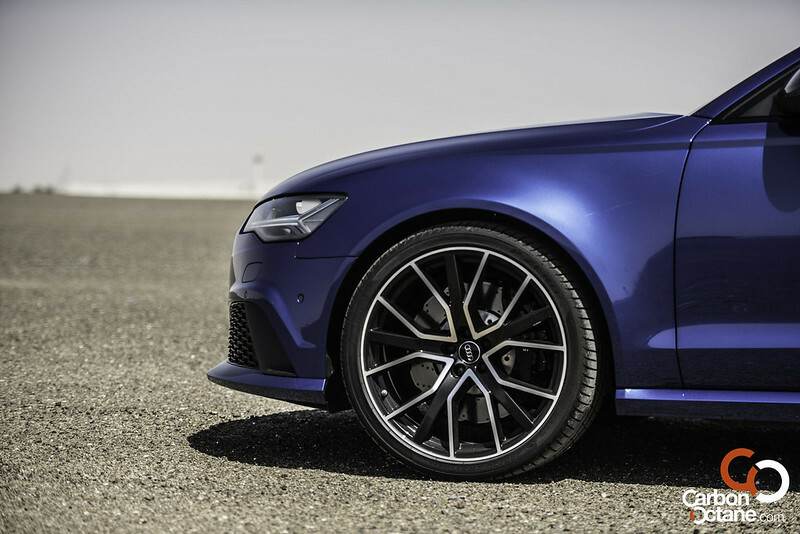 The RS6 Performance comes with 21 inch rims, which may suggest a harsh ride but in reality it’s just sublime. It’s firm yet comfortable. Not much feedback comes from the steering rack, but that did not deter us from having a feel of what the estate was doing at all times. It has always been about the bullet train like push you get every time you feel like pushing the pedal harder. 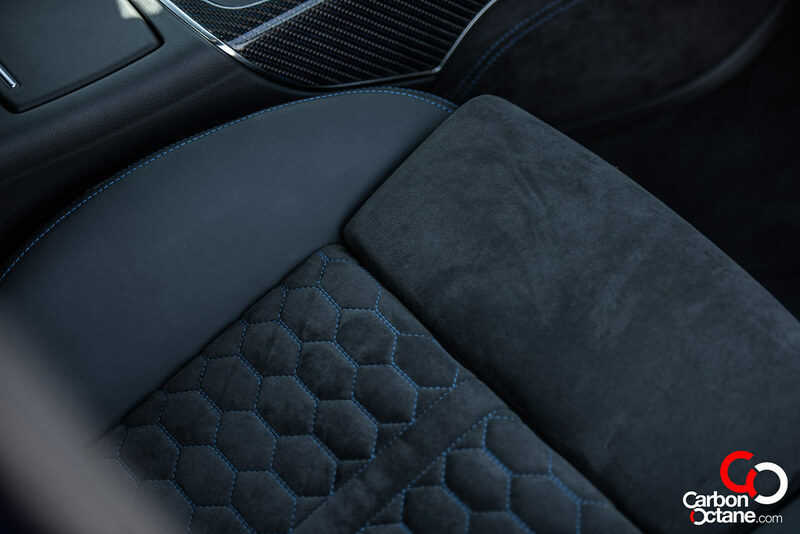 This constant push of torque and power pushes you against the seat at all times, and it does so effortlessly. A true wolf in sheep’s clothing, the RS6 Performance is anyone’s daily driver who needs to keep the misses happy and be able to have fun at the same time. A complete package for the family petrol-head in you.